Trees and shrubs can sometimes get too tall, too fat or just plain lopsided. Trees and shrubs require regular specialised attention and maintenance. They can grow horribly out of shape for reasons such as disease, competition, restricted sunlight and incorrect planting or pruning. Their eventual size may have been underestimated when they were originally planted blocking valuable winter sunshine for the plants below them. It’s for this reason that they should always be maintained by qualified professionals like Treetech. 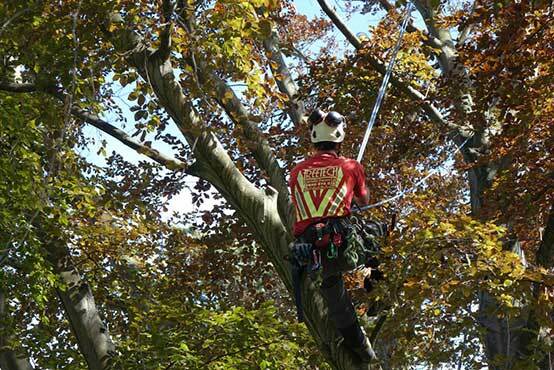 Our expert reduction services can reduce the canopy size and reshape your trees to a natural appearance. Our hedge trimming and shaping services will restore both trees and shrubs to a more aesthetically pleasing, natural look. There’s no random cutting when our arborists are on the job. Our experienced staff will ensure the health of your trees and shrubs and provide sound advice on their care. And for those unfortunate trees and shrubs that have been incorrectly pruned or topped causing dieback, disease and misshapen ruin, our expert pruning service can remove the deadwood and give the greenery a new lease on life. Should the tree or shrub prove to be in such bad health that it’s better to start fresh, our removals and planting services can do the job on any scale. After the job is completed, our crew will ensure the collection of all the cuttings for recycling into firewood or mulch which you can choose to keep or have us take away. Every situation is different, so it’s important to call in our consultants so your problem trees and shrubs can be properly assessed. From council parks and streets to backyards, rural properties and complete subdivisions, our professionals can provide arborist services to suit your circumstances. Whether your project is commercial or residential, large or small – contact us now, our consultants are ready to work with you. Contact us today for tree trimming and shaping in the Canterbury or Wellington areas.